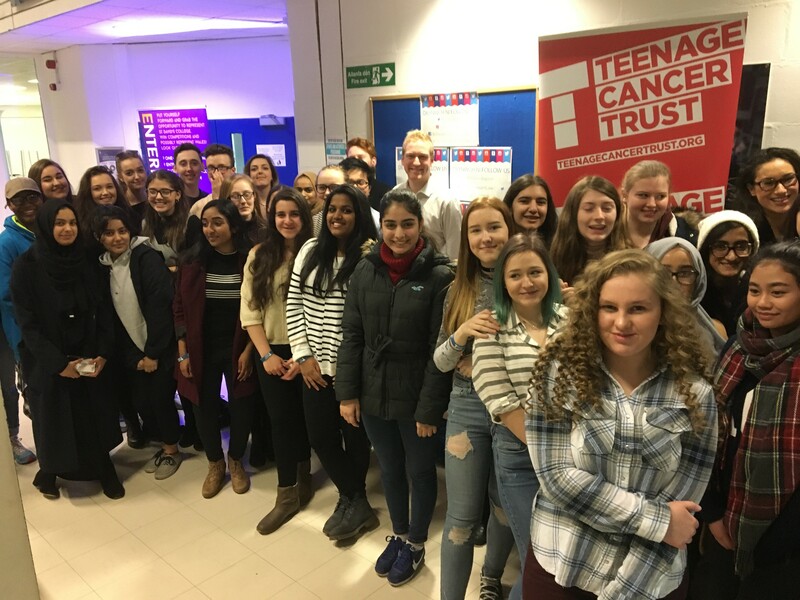 On the 8th February, the staff and students from St David’s College came together for a charity fashion show in order to raise funds for the Teenage Cancer Trust. While the event was organized by Enterprise Champion Liane Wigley, staff and students also helped a great deal to make the evening a success; from the marketing department who designed the posters and ticket, the canteen staff who helped with refreshments, and the students who ran their own stalls selling things which they had made. The event was sponsored by ‘Visual Contour’ and was compered by owner Debbie Oliver. We would like to thank Debbie and her staff for giving up their free time to do the hair and makeup of our lovely models (College staff), and Stephanie Rogers of @Fab Fashion for providing the clothes. All the hard work paid off as we have raised over £2000 for the Teenage Cancer Trust which is a small charity and one very much under-funded. A big thank you to all staff, students and volunteers who made the event such a success.